Offshore wind farms have gotten the bulk of attention overseas, but the development hasn't been as rampant in the United States. Inland wind production is still vital as a source, especially for areas that may not be able to install turbines off the coast. GE's blooming Renewable Energy sector has upgraded their onshore wind turbines to improve production across the world. GE Renewable Energy has upgraded their onshore wind turbines with a 4.8 megawatt capacity. Announced last week, these new turbines can generate enough power for 5,000 homes. The turbine itself measures in at over 787 feet and the rotor diameter is at 518 feet. The blades themselves are 252 feet long, the largest that GE has created for onshore turbines. This will also be the first time that the company has reached a capacity of over four megawatts for inland wind power. Capacity has now passed eight megawatts for an offshore wind turbine, and a few are located at the Walney Extension West and MHI Vestas farms. 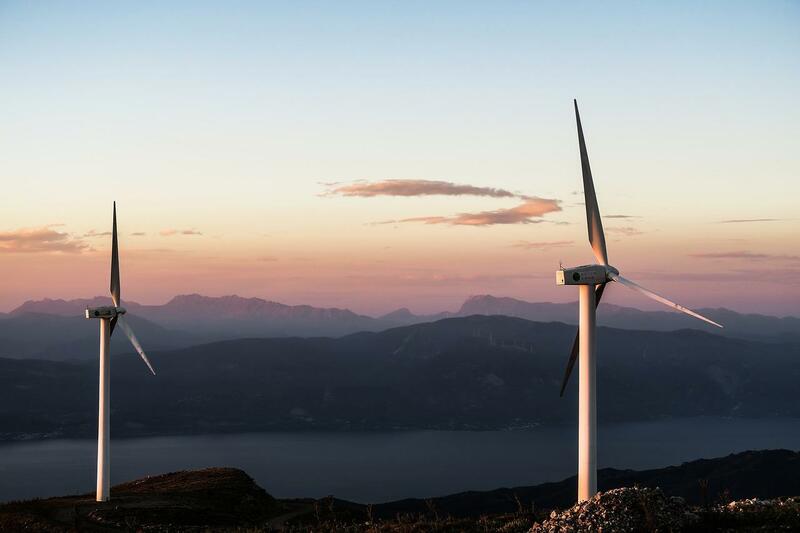 Peter McCabe, CEO of Onshore Wind Business under GE Renewable Energy, said in a press release that these turbines are optimized for areas that have low to medium wind power, such as Germany, Turkey, and Australia. He emphasized that despite the upgrades, costs are still low and the company has listened to feedback around the world to create one of the best onshore wind turbines out there. "This turbine is a great example of what we can achieve through the GE Store, combining technology and development with innovative design and expertise from the Global Research Center, LM Wind Power and Blade Dynamics. We collected input from more than 30 customers around the world to ensure we are meeting their specific turbine needs with this product as they work to provide lower-cost renewable energy." The United States has over 82 gigawatts of installed wind power capacity and around a fourth of that comes from Texas alone. GE has manufactured turbines at the Capricorn Ridge Wind Farm, Horse Hollow Wind Energy Center, and the Panther Creek Wind Farm -- all located in Texas. Improving the efficiency of these onshore wind farms provides the best of both worlds for wind power. Offshore wind farms have been gaining steam because companies can install massive turbines, but it's harder to maintain this source. With better turbines, that will limit the amount needed and they'll be easier to work with.